6 in 10 companies say maintaining an online presence is critical for the long-term success of their business, so it’s critical that SMMs start getting social. Not sure where to start? No problem. Download a copy of our 18-page guide to everything social media. Our free eBook, Social Media: The Ultimate Guide for Manufacturers, is just a click away! Don’t miss out on the chance to grow your brand, make contacts, recruit talent, and boost your sales. 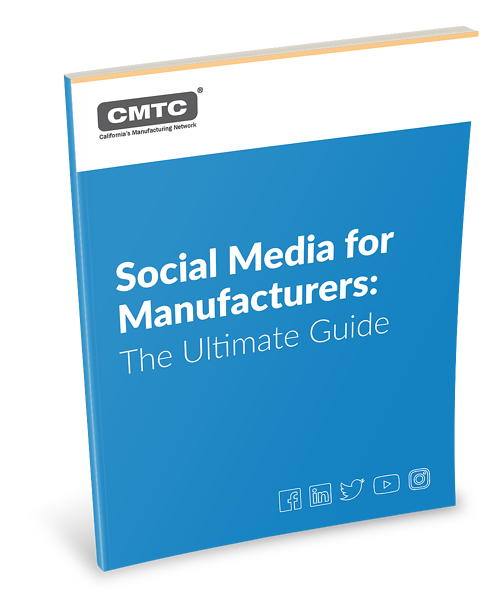 Download our free eBook, Social Media: The Ultimate Guide for Manufacturers, today!